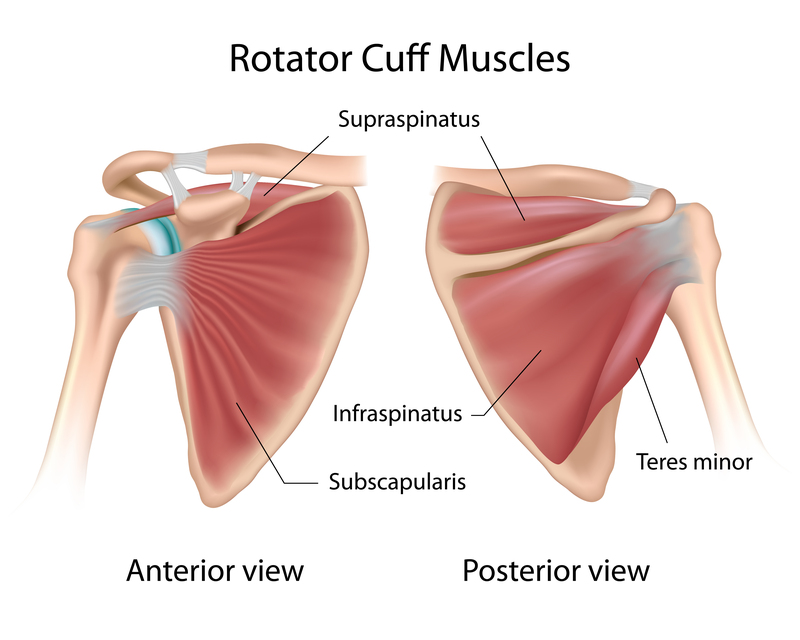 Rotator Cuff Tears - Anatomy and Causes (Video) - Jeffrey H. Berg, M.D. Rotator cuff tears are extremely common. About 5-40% of people with shoulder pain are thought to have rotator cuff tears. Nearly 2 million doctor visits in the US each year are due to rotator cuff problems. Tears of the rotator cuff describe any degree of disruption of one or more of the rotator cuff tendons. These tears can be complete, occurring through the tendon’s full thickness. Alternatively, they may also be incomplete (“partial“), only occurring through part of the tendon’s thickness. The following video shows the surgical (arthroscopic) appearance of the normal rotator cuff followed by that of a rotator cuff tear. Rotator cuff tears tend to be more common in those who regularly participate in overhead activities (painters, laborers, pitchers, volleyball players, etc). Their frequency increases with age. About 50% of all people over the age of 60 years old have a rotator cuff tear. In many cases, rotator cuff tears are not symptomatic. They are often found accidentally on MRI studies ordered to look for other causes of shoulder pain. The Supraspinatus is the most commonly affected of the four. The rotator cuff is important for normal shoulder function. The shoulder blade is attached to the chest wall by additional muscles. As a result, the rotator cuff indirectly connects the arm to the chest wall through its attachments to the shoulder blade. When the muscles that make up the rotator cuff shorten, there is a pull on the tendon attachment at the upper arm and this causes the arm to move. This function is impaired when there is a disruption (tear) in the rotator cuff. Consequently, this may then lead to pain and/or weakness. Rotator cuff tears can occur from an acute injury to the shoulder, as might occur during a fall. Alternatively, they can occur from “wear and tear” of the tendon over time. This is similar to the way that a hole develops in an old sock. The more slowly developing tears are much more common than the acute tears. They develop due to local pressure on the tendon by nearby bony structures, poor blood supply of the aging tendon and an accumulation of microdamage over time. The tears resulting from an acute injury tend to be more problematic but tears occurring from either mechanism can cause symptoms.